Up to 91% of children with a potentially fatal reaction to peanuts could have their allergy brought under control using a technique pioneered at Cambridge University. 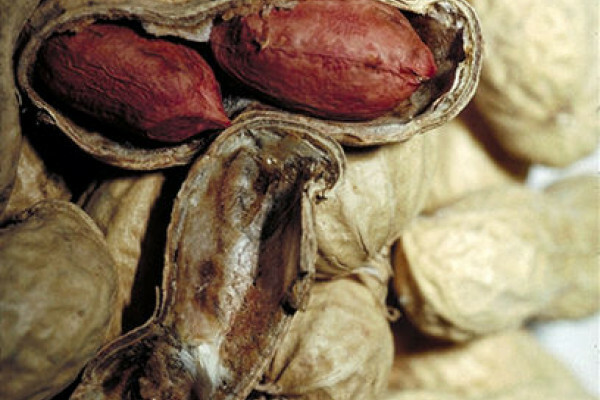 Peanut allergy affects about 1% of the population, and the consequences can be a life-threatening episode of anaphylaxis requiring an emergency shot of adrenaline. Avoidance of peanuts is the mainstay of prevention, but, even so, up to half of peanut-allergy sufferers report reactions each year, usually triggered by eating the nuts accidentally. The necessarily-fastidious dietary habits of sufferers also have a significant impact on quality of life and social freedom. Now that looks set to change. In the first quantitative study of its kind, Cambridge allergy consultants Pam Ewan and Andrew Clark have shown that it is possible to desensitise up to 91% of sufferers within 6 months to the point where they can comfortably consume a handful of peanuts each day. Writing in the Lancet, the pair recruited 99 children, aged between 7 and 16, with documented reactions to peanuts. The children were randomly assigned to either a control group, which was instructed to avoid peanuts entirely, and an intervention group, who were fed a steadily increasing dose of peanut flour. Starting with just tiny amounts and building up to about 800mg or the equivalent of 5 peanuts, by 6 months, 84% of this group were subsequently able to tolerate a 10 peanut "challenge", an exposure which would previously have left them sufferering severe reactions. None of the control group, tested in parallel, could tolerate the challenge though. Next, the team offered the same oral therapy to the control group, 91% of whom ultimately also became desensitised. According to Pam Ewan, "we found oral immune therapy is well tolerated and provides protection in most children with peanut allergy in this age group by raising the reaction threshold." The team believe that the technique works by invoking regulatory systems that can be triggered by eating allergens. This suppresses the exhaggerated reaction to the allergen, and also leads to a decline in the levels of pro-inflammatory antibodies called IgE. What the study doesn't address are the long-term prospects for the participants. It looks likely that a long-term daily prescription of a handful of peanuts will be needed to maintain the desensitised state. Nuts anyone? !